the art of the vane: Galleon Sails off! 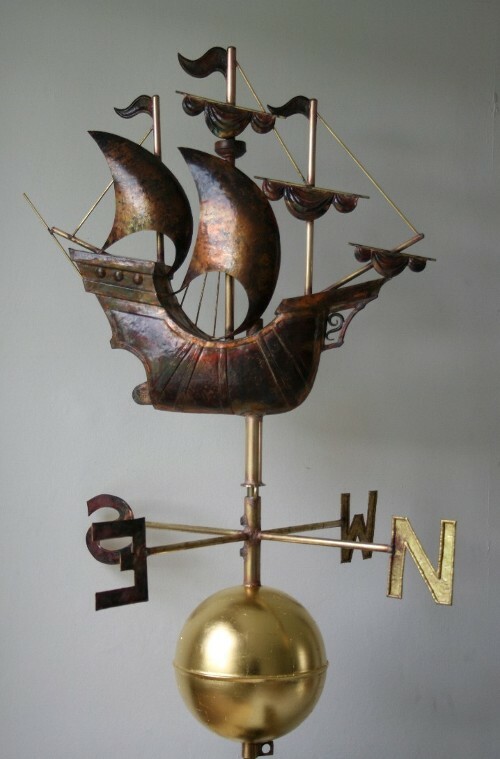 The galleon weathervane, which was completed a fortnight ago, is off to it's new home tomorrow. The custom 10 inch copper ball is gilt with 23.5K double thick English gold leaf. The project before the galleon was a wild boar. This weathervane design was intended to be whimsical rather than fierce. 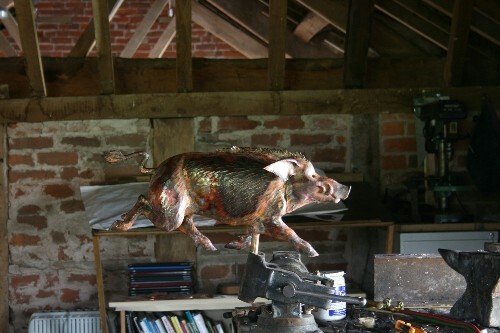 The next projects include three large banner weathervanes and a traditional weathercock based on the gilt design on Riga Cathedral...and then there is Art in Action at Waterperry House.﻿ Come see our stand/demo from the 21st-24th July.